Destination: Rothwell Athletic Club, Royds Lane, Rothwell, West Yorks, LS26 0BH. 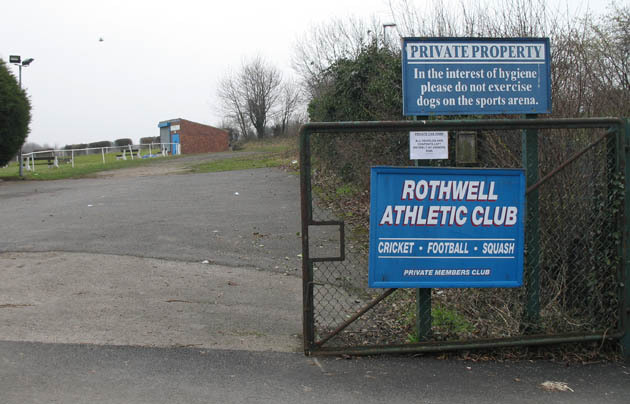 Directions: Also known locally as the Rabbit Trap ground, Rothwell Athletic play at the conveniently named Rothwell Athletic Club, which houses football and cricket on separate pitches, as well as some kind of gymn/squash/indoor sports facility that always seems pretty busy of an evening. There is a car park and ‘overspill’ road parking, or if you’re coming by public transport then the 444 bus runs between Wakefield and Leeds, and stops just at the end of Royds Lane by the Rothwell Working Mens Club. From here it is a simple five-minute walk along Royds Lane to the ground on your left. Off The Pitch: Rothwell’s home is a bit like the Bernabeu of West Riding non-league grounds, as it possesses a nifty little grass bank along one side of it. This means spectators get a great elevated view of the game, despite the lack of any actual stands or whatnot. There are a couple of wooden benches up there, but these face away from the football pitch and instead face the cricket pitch, necessatating manouvres such as ‘the lean’ or the ‘reverse sit’ if you want to take advantage of the executive seats up in the gods. There is a small clubhouse too, which serves hot and cold drinks and was tonight just opened up at half-time. However, for afternoon games, you should find it open throughout the entire game. The pitch itself is fully railed, though like most teams in this league there are no floodlights. However, now that the clocks have gone forward the club has started playing midweek evening games once more, with a 6.15 kick-off being the norm. 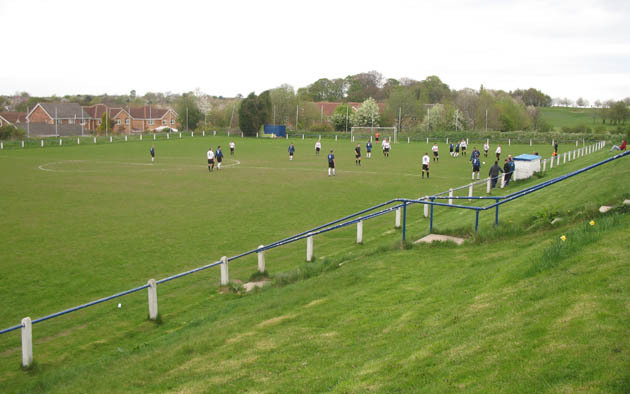 On The Pitch: This game pitted runaway leaders Bardsey, against bottom-placed Rothwell. With Bardsey unbeaten so far in the league this season, an away win seemed all but a formality. Although Bardsey took the lead as early as the first minute, the resulting game wasn’t the one-way traffic that might then have been expected though. Rothwell managed to hold out until just before half-time before conceding a second, slightly unfortunately, as their keeper misjudged a near-post shot which looked to all intents and purposes like it was going wide, causing subsequent analysis of the side netting by the bewildered no.1. Coming out for the second half, the home side then gave it a real go, and indeed managed a 20-minute spell when they had the lion’s share of the possession. However, they never really looked like seriously troubling the away goalkeeper, and Barsdey capitalised on their physical advantage in defence and attack to double the scoreline with two further goals. The pick was the fourth one, which saw their overlapping left-sider play a neat one-two with the nearest striker, and then hammer a unstoppable shot past the helpless Rothwell keeper from just inside the area. So Bardsey were good value for their win. But with games in hand, Rothwell looked like they still have a chance of avoiding relegation if they can pull a few reults together in the latter stages of the season. 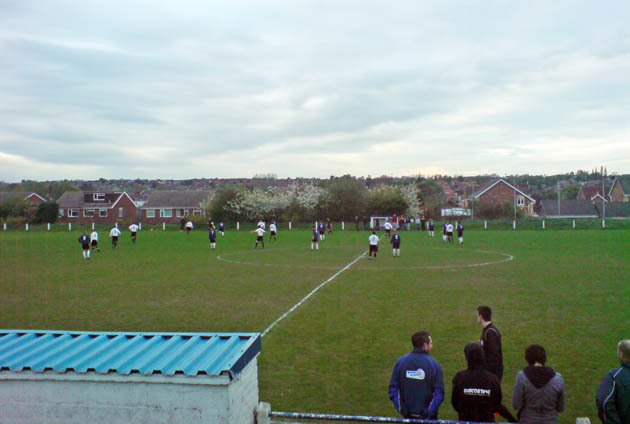 This entry was posted in A-Z by club (home team), Rothwell Athletic, Uncategorized. Bookmark the permalink.